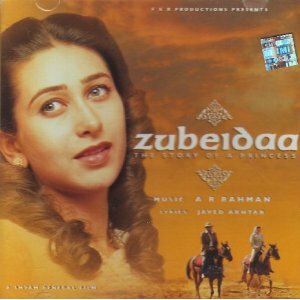 I always consider, noted film maker Shyam Benegal's 2001 masterpiece, 'Zubeidaa' as one of his best creations ever. The film has a powerful story, excellent production values and above all, sterling, once in a life time, performance of actress Karishma Kapoor, who has acted the principal role of 'Zubaidaa.' Many may think that this film story is an imaginary story or a work of fiction. But this may not be true. There was a real life Zubeida, and who did marry a Maharaja. Real life Zubeida was very beautiful and was born into a Muslim family connected with the films. She always aspired to become an actress. However, her domineering father got her married into an unhappy marriage, where she had a son. After partition of India, the marriage fell through and Zubeida was divorced. She met Maharaja Hanuvant Singh of Jodhpur, who was a dashing man in his twenties and a keen horseman, hunter, pilot, and amateur magician. 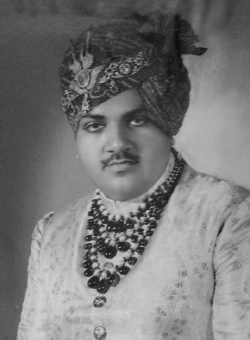 It is needless to say that being a Maharaja of the largest state in British India, he was stinking rich also. Zubeida and Hanuwant Singh fell in love and had a passionate romance. However their affair did not meet the approval of the royal family. Zubeida being a divorcee , an actress and above all a Muslim. Finally Hanuwant singh had his way and managed to marry Zubeida. However, the young married couple was forced out of the royal residence 'Umaid Bhavan Palace' and was forced to stay in 15th century Mehrangarh fort. Maharaja Hanuwant Singh was an immature and impetuous young man. He was forced to succeed the Jodhpur Royal throne at an young age, due to sudden death of his father. There are many known instances of his immature behaviour, in the period just before Independence of India. He considered joining Pakistan at one point of time, which would have been a great shocker and a coup for Pakistan and had even threatened a Government of India emissary with a pistol. He always had one genuine passion, that of flying. He was a keen flyer and had made Jodhpur and international airport, during pre-independence days. In 1952, Hanuwant Singh got involved into politics and proved to be a big headache for the ruling congress party as he won his seat for the state assembly as well as for federal parliaments against the congress candidates. 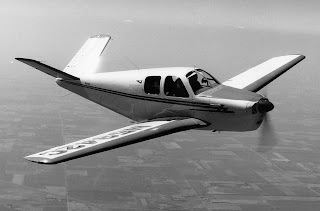 After the polling, when it was clear that he would win by huge majority, he decided to celebrate his victory by taking his beloved wife Zubeida for a spin, over the deserts of Jodhpur in his favourite light aircraft, a Beechcraft Bonanza. Hanuwant singh was always a reckless flyer and was in habit of performing dangerous air stunts. No one knows exactly what happened later. But Hanuwant Singh and Zubeida just disappeared. The wreckage of the plane was later found out with Hanuwant Singh and Zubaida both proclaimed dead. No one knew for sure, what was the exact reason for the air crash, as the wreckage of the plane also disappeared later and no proper inquiry was ever made. Recently, the staff of the Jodhpur Central Jail was looking through piles of rubble in the jail's cellar, when they found the remains of the Maharaja Hanuwant Singh's Beechcraft Bonanza plane, which was left unattended for last 62 years. 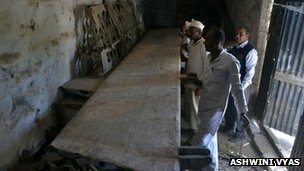 The staff intially thought the wreckage to be from India-Pakistan war, because Jodhpur was bombed few times then. But later, the wreckage was found to be of the Maharaja's aircraft. Jodhpur's Mehrangarh Museum, has now asked for the possession of the wreckage. The Mehrangarh Museum Trust, founded in 1972 by Maharaja Gaj Sing, who was a son of Hanuwant Singh, has sent a formal letter to the jail authorities, seeking possession of the wreckage. Jail authorities say that they could take a decision only after Government clearance. 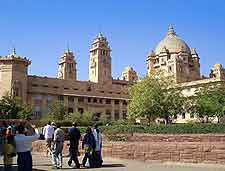 The Mehrangarh Museum is a popular tourist destination. Every year, seventy to eighty thousand foreigners and more than 4 Lac (Hundred thousand) Indian visitors visit the museum. Museum director says that no decision has been taken regarding the course of action with the wreckage, but it would definitely be part of their collections. 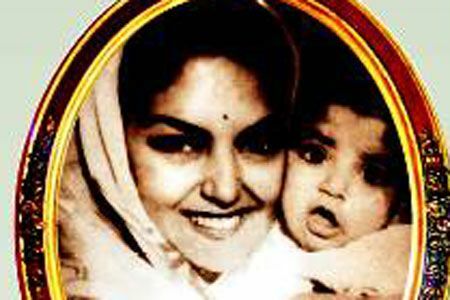 One thing is for sure, the wreckage, displayed in whatever form in the museum, would be popularly remembered as a witness of Zubeida''s last moments if popularity of the film 'Zubeidaa' is taken as any clue. अनोखी माहिती आहे ही. मला वाटायचं की झुबैदा ही खोटी/ कल्पनिक कथा आहे. धन्यवाद. amazing history....plz share this type of information. Sir Thank you for your valuable information .